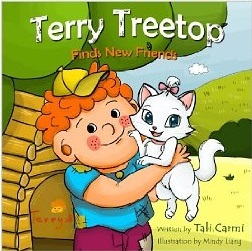 # Promotion Terry Treetop is a really cute story about making friends, and demonstrates the importance of helping others , most importantly it shows how important it is to use a person's unique abilities to help other's in need. Bright colored, and adorable illustrations that will hold a young child's attention. This is a story I would read to my own grandchildren. I received this for free in exchange for an honest , unbiased review.